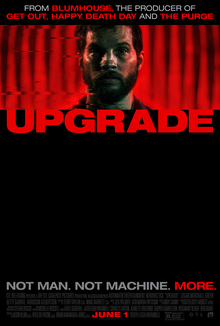 Upgrade is a 2018 science fiction body horror film written and directed by Leigh Whannell. 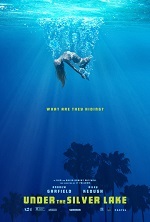 It stars Logan Marshall-Green, Betty Gabriel, and Harrison Gilbertson. The film follows a man who gets a chip that controls his body implanted into his brain after he is left paralyzed following a mugging. Jason Blum serves as a producer through his Blumhouse Productions banner. After premiering on 10 March 2018 at South by Southwest, the film was released on 1 June 2018 in the United States by OTL Releasing and Blumhouse Tilt. A genuine under-the-radar gem this summer movie season, the lean, mean, and richly imagined Upgrade plays as Death Wish by way of RoboCop. After a roadside assault in near-future Los Angeles leaves him paralyzed and his wife dead, a mechanic receives an experimental implant; "STEM" restores his ability to move his limbs while also functioning as a voice in his head, helping him investigate his wife's murder. The dynamic shared by the wounded protagonist, played with brooding charisma and game physicality by Logan Marshall-Green, and his wily, HAL 9000-esque new conscience is craftily unpredictable. The trajectory of their relationship as two strong-willed minds within one body is a chief delight of this film, which neatly and potently tries its hand at old-school action, gruesomely Cronenberg-flavored horror, and futuristic satire and builds to a powerful twist ending. Very enjoyable, and impressed that this was a $4m film, film didn't look cheap at all. A very slick and entertaining B-movie. Nothing to write home about but I enjoyed watching it. I enjoyed it, but I would have liked it way more if it wasn't for the last 10 minutes. It's a solid throwback to the unapologetic and over the top violent action movies of the 80's like Robocop with some Cronenberg body horror thrown in for good measure. I also appreciated the amount of dark humor and satire which isn't too in your face, but it's definitely there. Leigh Whannell's direction is constantly on point and Logan Marshall-Green is in top form, especially seeing his relationship unfold with STEM, but those last 10 minutes and that ending really put a bad taste in my mouth. I dug the opening titles for this. It's short but there is no text. Just an AI voice reading it out. Just "OTL Releasing and BH Tilt....A Leigh Whannell Film....UPGRADE" and the film begins. Never witnessed that sort of intro before. I saw it in the theater. Highly enjoyable down and dirty sci-fi action movie. Has a cool retro feel. Hoping we get a sequel. I know it sounds like they're going to do one. 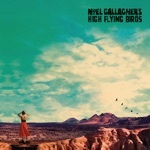 I heard good things, and it totally lived up to that, a surprise hit that would have deserved to do so much better in release. I've always liked LMG, and he nails the role, Harrison Gilbertson feels like a second-rate DeHaan though. The film moves at a brisk pace and its got great effects and action in the process, the kills are slick and it's nicely R-rated for the purpose. It's nice to see new directors enter the scene with a well executed film that doesn't miss a beat. While not necessarily creative in concept, it adapts sci-fi and revenge thriller very capably and just feels like a very fresh experience this year. Well rounded with its coming full circle finish too. impressed that this was a $4m film, film didn't look cheap at all. Totally, they produce more crud with bigger budgets, but made the most out of this and just felt like a very well dedicated effort. Yeah other than those last 10 minutes this was a great movie. I really liked what they did with the concept and would love a sequel. And yeah Logan Marshall-Green and Harrison Gilbertson were there to fill in for Hardy and DeHaan though the movie didn't need it, LMG is great here though and that's the most important thing, Harrison didn't impress though Gabriel and the actress playing the wife were good in small roles. Yes I loved that as well and its not like they weren't using graphics in the background just that they wanted to with this read out which was cool decision. I felt that the movie had the cheap looking quality but then it aided more here in terms of the story narrative. I'm in the "it didn't look cheap at all" camp.